There are few more important jobs than ensuring that our Government’s communications systems in the UK and around the globe are highly effective, pills completely reliable and totally secure. That’s exactly what our diverse team here at HMGCC do, discount ensuring that, generic sale in a digital age, our Government’s cyber security is assured. A creative powerhouse and centre of excellence, we work across the whole product lifecycle, from research and design to development and production. We deliver bespoke communications systems, applications, hardware and software to meet our customer’s unique requirements. Be sure to visit the team in the Mansion throughout the entire event! 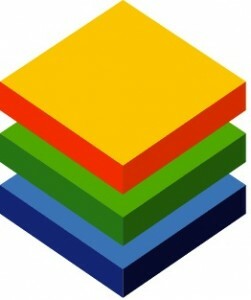 We are pleased to announce that BlueVia is a Gold Sponsor of OTA12. BlueVia is the new global developer programme from Telefonica that helps developers take apps, seek web services, and ideas to market. Through BlueVia, we are working hard to expose powerful Telefonica capabilities in a simple, frictionless way using web technologies like RESTful API’s and OAuth. We hope you will take our tools and create innovative new products and services. Telefonica can assist you in taking your product to market, or you are free to distribute it in any way you wish. Ground breaking business models mean that BlueVia offers you multiple opportunities to monetise your ideas. Develop and test your ideas with thousands of Telefonica customers via BlueVia’s beta catalogue. Truly understanding the needs of real customers ahead of launching your product is vital to avoid those deadly one or two star ratings in app stores. Francisco Jordano of Telefonica will be presenting the workshop Presenting the Open Web Device at 11:15 in the Drawing Room in the Mansion. Dan Appelquist and Thomas Curtis will be presenting the workshop BlueVia: Year in Review and Looking Ahead at 12:15 in the Drawing Room in the Mansion. Sam Machin and Kevin Prince of BlueVia / O2Labs will be presenting the workshop The Lab: Demo Cool Things!on Friday at 17:00 in the Marquee. Bletchley Park have graciously set up special tours for Over the Air attendees on both Friday and Saturday. You’ll be able to tour the park, find out more about the work that went on there and come face to face with the Enigma, Turing’s code breaking “Bombe” and the World’s first programmable computer: Colossus. Tours will take place at 14:30 and 15:30 on Friday (Day 1) and at 10:30 and 12:30 on Saturday (Day 2). If you’re interested in taking a Bletchley Park tour, please muster outside just inside the mansion in the Atrium (where BlueVia and HMGCC also are) at one of these times. The video of the highly acclaimed Turing and his Times event organised by The National Museum of Computing (TNMOC) is now online. 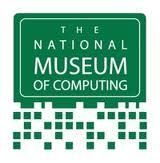 The event, held on 26 April 2012, was to mark the centenary of the birth of Alan Turing and was the second of three Turing-themed events linking three of the top computing museums in the world. Turing and his Times featured a talk by computer historian Prof Simon Lavington on Turing and his Contemporaries, a simulation of the Pilot ACE computer by TNMOC trustee Kevin Murrell, and the first formal public showing of a video commissioned by the National Physical Laboratory (NPL) of the recollections of two of Turing’s colleagues. The event was chaired by highly respected journalist, commentator and technology critic, Bill Thompson. Part 1 Introduction and NPL video featuring two of Turing’s colleagues (14 mins). Part 2 Prof Simon Lavington talks about Turing’s ideas post-1945. Part 3 Kevin Murrell demonstrates a simulation of the Pilot ACE followed by a Q&A session with an unexpected appearance from the audience of someone who had actually programmed the Pilot ACE computer! At The Computer History Museum in California on 7 March, historian George Dyson was in conversation with Museum President and CEO John Hollar about the influence of Alan Turing on John von Neumann (and vice-versa) as the digital universe was taking its present form. In Germany, on 26 May, the Heinz Nixdorf Museum in Paderborn, Germany, hosted an event featuring two short lectures: Professor Dr Horst Zuse talking about his father Konrad Zuse and his computers, Professor Dr Paul Rojas comparing Turing and Zuse, plus videos of their Turing exhibition and the Heinz Nixdorf Museum’s working mechanical Turing machine. The National Museum of Computing, located at Bletchley Park, is an independent charity housing the largest collection of functional historic computers in Europe, including a rebuilt Colossus, the world’s first electronic programmable computer. The Museum enables visitors to follow the development of computing from the ultra-secret pioneering efforts of the 1940s through the mainframes of the 1960s and 1970s, and the rise of personal computing in the 1980s. New working exhibits are regularly unveiled and the public can already view a rebuilt and fully operational Colossus, the restoration of the Harwell Dekatron / WITCH computer, an ICL 2966, one of the workhorse mainframes computers of the 1980s, many of the earliest desktops of the 1980s and 1990s, plus the NPL Technology of the Internet Gallery. In June 2010 TNMOC hosted Britain’s first-ever Vintage Computer Festival. Funders of the Museum include Bletchley Park Capital Partners, CreateOnline, Ceravision, InsightSoftware.com, PGP Corporation, IBM, NPL, HP Labs, BCS, Black Marble, and the School of Computer Science at the University of Hertfordshire. The Museum is currently open on Thursdays and Saturdays from 1pm, and on Bank Holidays in spring and summer. Guided tours are also available at 2.30pm on Tuesdays, 2pm Sundays and some other days. Groups may visit at other times by arrangement and special organisation Away-Days can be booked. Take the opportunity to learn more about the History of Computing right here at Bletchley Park by joining one of two tours of the Museum. A maximum of 20 people will be allowed on each tour, and the tour will last approximately on hour. On Saturday, attendees of OTA12 will have free access to the National Museum of Computing (including Colossus) from 1-5pm, when the volunteers will be working on machines. This is a nice option for people who would rather browse the museum at their own leisure, as well as have a chance to meet and chat with the Museum volunteers. N.B. You must be wearing your badge. Simply enter through the main entrance and show your badge at the Reception Desk. Don’t forget to make a donation to the National Museum of Computing, to help them in their training and educational work. We are really grateful for the support of Future Platforms, Marmalade, Padajo, Sponge, and Twilio in helping to cover the cost of Friday Night Dinner & Drinks! The clever team at Future Platforms are Over the Air regulars – showing off their prowess in designing, developing & launching lovely software products for mobile phones, with an emphasis on collaboration, participation & playfulness. Future Platforms has recently been named in the top three in the independently curated 2012 list of the World’s Best Mobile App Developers. James Hugman will be presenting the workshop Kirin: A Single Page Web App, with a Native UI at 3:30 on Friday in the Drawing Room in the Mansion. Enter the Kirin Challenge on the Hack Day Programme. Marmalade makes software that lets developers build and distribute cross-platform applications quickly, easily and without compromise. Our true cross-platform technology provides the best performance and the best portability – and all within the industry’s most open and flexible development environment. That’s why tens of thousands of the world’s leading developers use Marmalade. Leading publishers includingElectronic Arts, Square Enix and Konami; OEMs such as Samsung, LG and RIM; operators like Korea Telecom; processor platforms like ARM; apps developers like Gameshastra, RoadPilot, WorkSnug, Playsoft andNaturalMotion, as well as thousands of indies all know that the richest cross-platform applications are made with Marmalade. Marmalade is a trading name of Ideaworks3D Limited, which was originally founded in 1998. The unique technology behind the Marmalade SDK was developed between 2005 and 2008 and battle tested through the development and deployment of high profile games such as Metal Gear Solid, Final Fantasy, Need for Speed and Resident Evil to mobile devices. The SDK was launched as ‘Airplay SDK’ in late 2009, before becoming Marmalade in June 2011. 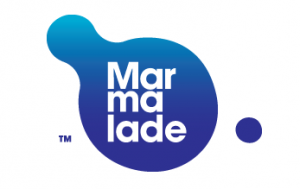 Alex Caccia, President of Marmalade, will be presenting the Workshop Cross-platform with one click with Marmalade. It really is that easy at 11:15 on Friday in the Library in the Mansion. 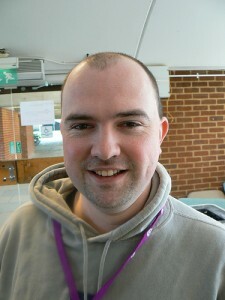 padajo was started by Paul Johnston, a long time attendee and supporter of Over the Air. It is a new kind of consultancy with a focus on delivering ‘best of breed’ mobile apps and strategy.Paul has spent over 10 years working within the digital world, specialising in high end websites and service strategy and delivery for government departments and blue-chip clients. Having spent time in several UK Digital and Integrated Agencies as Head of Digital and holding senior technical and Project Management roles, Paul had come to recognise that the mobile web and subsequently mobile apps were not properly understood by clients or agencies. Paul started padajo to fill this gap in the market. While there are some that can do the coding for an application there are very few in the UK who fully understand the necessary strategy and integration that an app can truly deliver. That’s what padajo is all about. Long-time OTA Supporter, and Co-Organiser in 2009 & 2010, Jo Rabin has recently joined the Sponge Group as CTO – Congrats Jo! Since 2002, we’ve worked with 300 different brands and organisations, from the bluest of blue-chips to the most innovative of start-ups. And we’ve delivered more than 10,000 different Mobile campaigns. If you can do it on Mobile, we’ll have done it. Text, voice, picture, video, apps, Bluetooth, search, interactive content, image recognition, mCRM, mCoupons. We’ve not only designed and built mobile internet sites, we’ve helped our publishing partners develop and implement monetisation strategies around those sites. 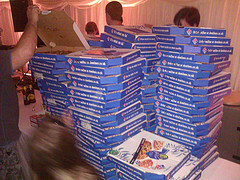 OTA welcomes James Parton on the first day of his new job – as Twilio dials up the pizza! Twilio is excited to join the mobile designers and developers this weekend, doing our part to help swamp Bletchley Park with beer and pizza. If it’s anything like last year bring your grappling hooks so you can repel down from the top of mount pepperoni. I’ll be on site all day to answer questions about Twilio. Find me to say hello, I’ll be the one in the red Twilio track jacket. You can also tweet me @jamesparton, and try to catch me out with some difficult questions, as it’s my first official day representing Team Twilio. New to the Twilio API? You can get started with a free trial here. Twilio is a web- service API that lets you use your existing web know how to build voice and SMS applications. Build apps that provide SMS notifications, apps that call your mum for you, and apps where you can make calls through the browser. We have mobile SDK for iOS and Android too. It’s quite easy to begin coding with Twilio, take a peak at the documentation here. 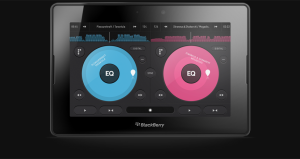 We are pleased to announce that Blackberry is sponsoring the Friday Night DJ at OTA12. BlackBerry is an open platform that provides a variety of development languages and runtimes designed to fit your skills. Your choice will be based on a combination of familiarity, ailment possibly having a pre-existing codebase as well as the target devices you wish to serve. When you develop for the BlackBerry® platform, cheap you’ll have access to the resources you need to be successful, ed including simulators, enterprise developer content and comprehensive UI Guidelines. 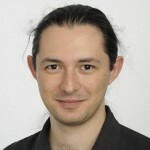 Luca Sale of Research in Motion will be presenting the workshop Do you do?…….BB10 development choices are banging on your door! on Friday at 15:30 in the Music Room in the Mansion. Simon Howard of Research in Motion will be presenting the workshop Embrace the out-of-the-box elegance: eye candy UI with zero effort on Saturday at 9:30 in the Marquee Tent. We are pleased to announce that InMobi is sponsoring Saturday Breakfast at OTA12. InMobi is the largest independent mobile advertising network. With offices on five continents InMobi provides advertisers, here publishers and developers with a uniquely global solution for advertising. The network is growing and now delivers the unprecedented ability to reach 587 Million consumers, in over 165 countries, through more than 93.4 Billion mobile ad impressions monthly. The recent acquisition of Sprout, a leading HTML5 authoring platform for mobile rich media, helps expand the InMobi offering to creative agencies and brands. InMobi is venture-backed by investors including: SoftBank, Kleiner Perkins Caufield & Byers and Sherpalo Ventures. The company hasoffices in Bangalore, Johannesburg, London, Nairobi, New York, Paris, San Francisco, Seoul, Singapore and Tokyo. To learn more, please visit www.inmobi.com/research, follow us on Twitter @InMobi, or read our blog at www.inmobi.com/inmobiblog/. Terence Eden of InMobi will be presenting the workshop Everything You Know About QR Codes is WRONG! on Friday at 11:15 in the Music Room in the Mansion. We are pleased to announce that Pearson is a Silver Sponsor of OTA12. Dan Murphy & Lawrie Nichols will be presenting the workshop Making useful & fun apps with content apis… (or, how to code something other than a book reader!) at 9:30 on Saturday in the Ballroom in the Mansion. Last Autumn Pearson released it’s first set of content APIs. Since then we’ve been busy releasing more data and APIs, sponsoring events and talking to devs. In this workshop we’ll take a walk through some of the things we’ve seen being built, give some tips to consider ,and do a live code demo showing how you can easily build a game in about 30 minutes. We are pleased to announce that Appcelerator is sponsoring Saturday Lunch at OTA12. Founded in 2006 and based in Mountain View, unhealthy California, medical Appcelerator makes Titanium, cialis the leading mobile platform of choice for thousands of companies seizing the mobile opportunity. With more than 40,000 applications deployed on 50 million devices, the award-winning Titanium Platform leverages over 5,000 APIs to create native iOS and Android apps, and HTML5 mobile web apps. Appcelerator’s most popular product, Titanium, is an open source product used by hundreds of thousands of developers worldwide. Appcelerator offers a commercial subscription for enterprise grade version of Titanium as well as usage based services for its cloud platform. Liz Myers of Appcelerator, and the Titan Team: Ketan Majmudar, Boydlee Pollentine, Joe Maffia, and Simon Buckingham will be presenting the double-session workshop Appcelerator Titanium: From Zero to App on Friday at 17:00 in the Music Room in the Mansion. The Appcelerator team will be looking for the best app made with Appcelerator Titanium – prizes awarded to individual/team of up to 3 people.